The office desks you furnish your business with in the Toronto, Ontario, area will represent your brand and style, so it’s important you choose pieces that are professional and aesthetically pleasing. If not, you run the risk of giving your clients and potential customers a bad impression. For beautiful and professional office desks for your business in the Toronto, ON, area, look no further than Reusable Office Interiors. 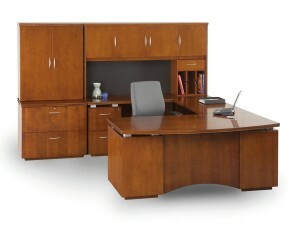 We can help you furnish your office space with stylish and long-lasting pieces that are sure to impress your clients. We offer a wide selection of gently used and remanufactured furnishings from top brands, such as Teknion, Steelcase, Haworth, Herman Miller, and others. This means that you can furnish your business with top-of-the-line office furniture at a fraction of the cost the items would be brand new. In addition to office desks, we can also provide you with premium workstations, file cabinets, conference tables, office seating, and so much more. And, we can deliver and install all of your new furnishings directly to your office so that you don’t have to worry about doing any of the heavy lifting. Also, our experts can liquidate unwanted furnishings for you and even recycle eligible items, which can result in your business receiving a tax credit. For more information about the office desks and other furnishing we offer to business owners in the Toronto, ON, area, contact Reusable Office Interiors today. One of our knowledgeable associates is available to help you with any questions you have and can explain in detail about all of the outstanding products and services we have available.